Over the past few weeks, we’ve been educating students on the benefits of having a secure digital identity. We’ve been hitting up schools, colleges and universities across the UK to hand out free digital ID cards. We’ve travelled from London to Surrey, Derby, Hull, and Leeds to name a few. 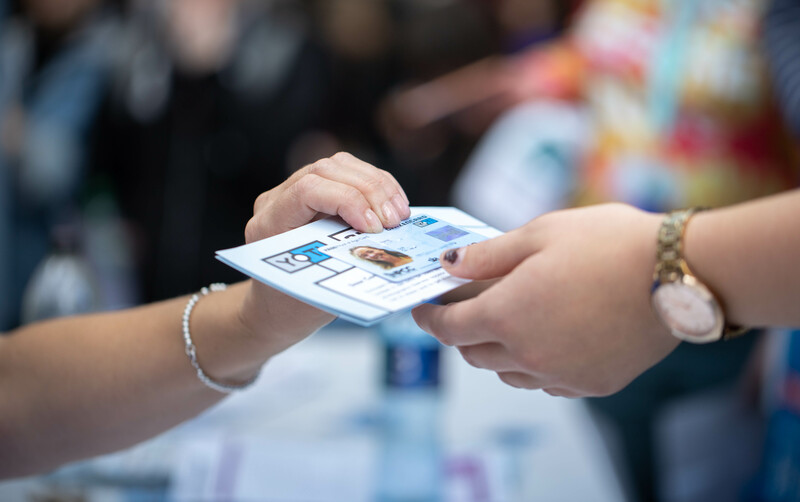 The ID card that we launched with CitizenCard gives young people the chance to prove who they are, without the risk of losing any of their important ID documents. The demand has been huge! School halls and Freshers’ Fairs have been rammed with students looking for a safer, more affordable way to prove their identity. Many of the young people we met shared tales of losing their driving licences or passports, so receiving a free alternative was widely welcomed. To get their hands on one, students had to fill out a quick form, have their identity verified alongside their government ID, and have their photo taken. Their ID cards were printed right there and then, ready for them to walk away with. The fact that these new ID cards are totally free was also a massive deal for typically strapped-for-cash students. Hundreds of young people can now prove their age to enter a nightclub, to identify themselves to businesses, or to purchase age-restricted goods - with a more safe and affordable form of ID. If you’re a student or you work for a school, college or university, you can apply for free ID cards right here.